Get ultimate carefree comfort with a dash of style. Two-pack of cotton bras flaunting a variety colors and prints. Lightly lined cups for modesty. Wire-free for comfort. Three-dimensional bow detailing at center. Adjustable straps and back closure allow for a perfect fit. 95 percent cotton, 5 percent spandex. Machine wash warm, tumble dry low. Imported. Measurements: Length: 6 1 2 in Chest Measurement: 12 1 2 in Product measurements were taken using size MD (34A). Please note that measurements may vary by size. If you~re not fully satisfied with your purchase, you are welcome to return any unworn and unwashed items with tags intact and original packaging included. Get ultimate carefree comfort with a dash of style. Two-pack of cotton bras flaunting a variety colors and prints. Lightly lined cups for modesty. Wire-free for comfort. Three-dimensional bow detailing at center. Adjustable straps and back closure allow for a perfect fit. 95 percent cotton, 5 percent spandex. Machine wash warm, tumble dry low. Imported. If you~re not fully satisfied with your purchase, you are welcome to return any unworn and unwashed items with tags intact and original packaging included. Cast in the sweetest of dreams with these incredibly comfortable pajamas! Printed pajama set in a premium organic cotton fabrication. Snug fit. Solid trim. Long-sleeve tee sports a crew neckline and banded cuffs. Pajama pant has a covered elastic waistband and banded cuffs. 100 percent organic cotton. Machine wash cold, hang dry. Imported. Measurements: Length: 18 1 2 in Waist Measurement: 16 in Outseam: 26 in Inseam: 19 in Front Rise: 9 in Back Rise: 9 in Leg Opening: 7 in Product measurements were taken using size SM (6-8 Little Kids). Please note that measurements may vary by size. Cast in the sweetest of dreams with these incredibly comfortable pajamas! Printed pajama set in a premium organic cotton fabrication. Snug fit. Solid trim. Long-sleeve tee sports a crew neckline and banded cuffs. Pajama pant has a covered elastic waistband and banded cuffs. 100 percent organic cotton. Machine wash cold, tumble dry low. Made in the U.S.A. and Imported. Measurements: Length: 18 1 4 in Waist Measurement: 20 1 2 in Outseam: 31 in Inseam: 22 in Front Rise: 9 3 4 in Back Rise: 10 3 4 in Leg Opening: 3 3 4 in Product measurements were taken using size MD (8 Little Kids - 10 Big Kids). Please note that measurements may vary by size. 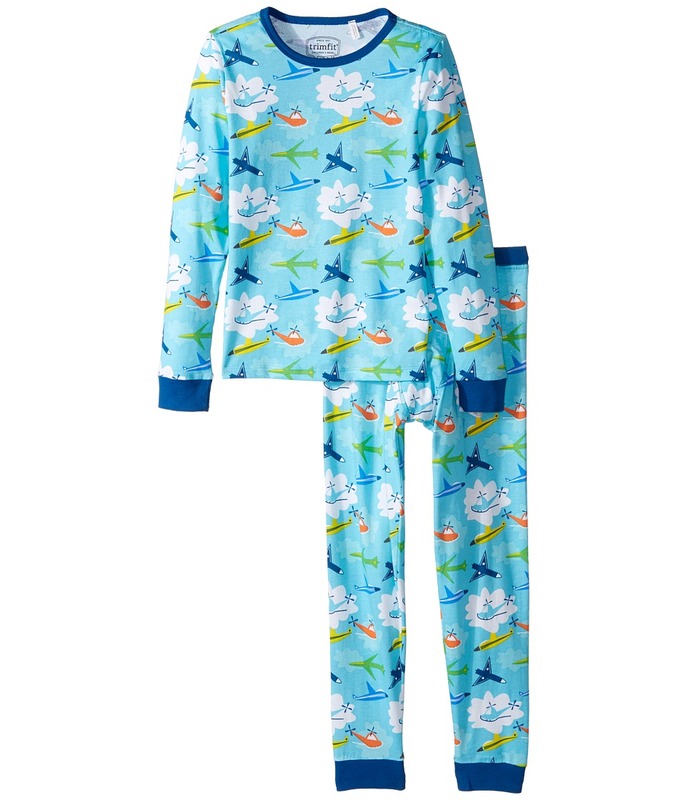 Cast in the sweetest of dreams with these incredibly comfortable pajamas! 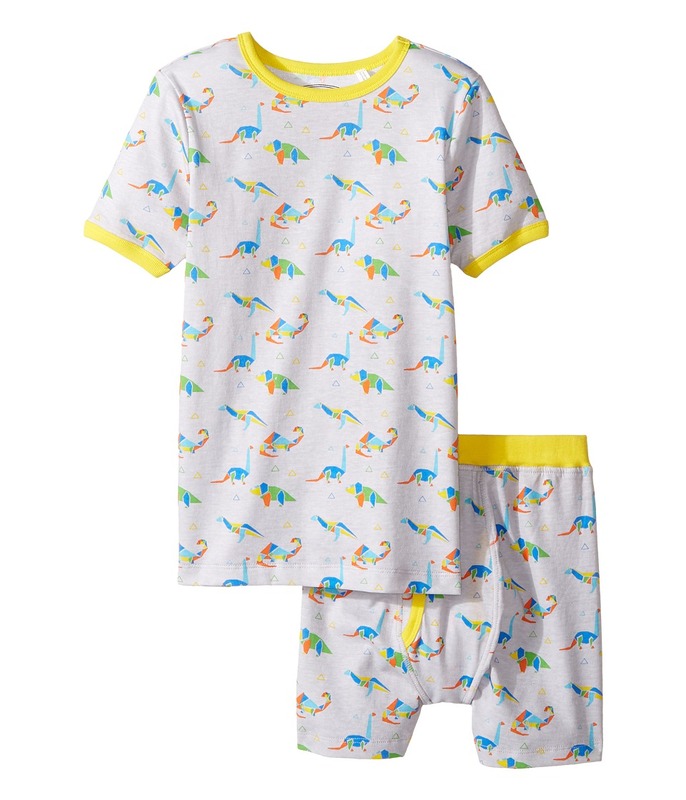 Printed pajama set in a premium organic cotton fabrication. Snug fit. Solid trim. Short-sleeve tee sports a crew neckline and banded cuffs. Pajama shorts have a covered elastic waistband and a functional fly. 100 percent organic cotton. Machine wash cold, hang dry. Imported. Measurements: Length: 21 in Waist Measurement: 22 in Outseam: 12 3 4 in Inseam: 3 in Front Rise: 11 in Back Rise: 12 1 2 in Leg Opening: 17 in Product measurements were taken using size XL (14-16 Big Kids). Please note that measurements may vary by size.